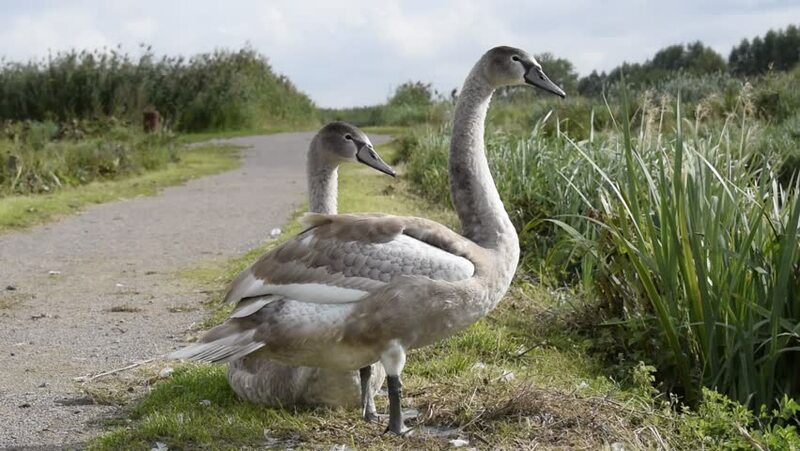 Wild animals, environment, nature and water birds concept: beautiful two young swans.Movie recorded without a tripod. hd00:30A breeding pair of Canada Geese stand on shore calling / honking together warning the rest of the lake of danger in the water. Toads trill and other birds call in the background.